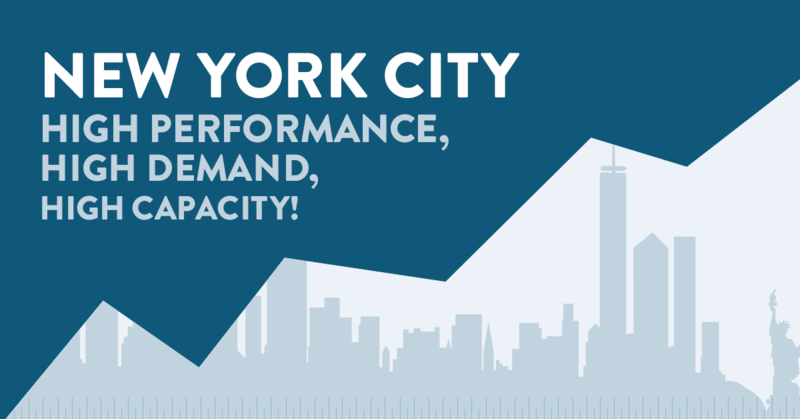 We're thrilled to announce that we're expanding our New York Virtual Private Server. The extra resources we're able to bring in have become a possibility due to the growth of use in our services across New York City. The improvements we're making to the system, including bringing in brand new, state of the art hardware, will drastically improve performance for all of our customers. For reference, it's worth taking a look at the benchmarks that VPS Server are currently setting for the hosting industry. In this post we outline how VPSServer.com compares with its competitors: https://www.vpsserver.com/features/benchmark/. We're sure you'll agree it's not hard to see why VPSServer.com are fast becoming one of the leading VPS providers in New York. Our data center is located in the financial district, Downtown New York. This central location is great news for everyone, as it means we're linked to all the biggest internet providers, thanks to a connection with the New York internet exchange. A closer server means better latency, too, so this central location is also likely to mean a faster connection with no risk of downtime that will affect your employees' efficiency or lead to unhappy clients. The recent VPS location extension means our customers will receive faster service than ever before, on a plan that already offers great value for money. Our 1Gbit port connection means that, whatever plan you're on, you'll receive the optimum service. VPS Server are constantly considering new ways we can improve our performance, to provide our customers with the best connection on the market. For more information about our Cloud VPS Server in New York City, check out our page here: https://www.vpsserver.com/new-york/. Next week, we're also expecting our hosting services in Hong Kong to become fully operational. VPS Server are excited to continue bringing fast, reliable VPS services to businesses across the globe. If you're interested in how we can streamline the way your company accesses its software, why not get in touch with us today? We guarantee the best I/O performance, with the fastest VPS in the world - so we know you won't be disappointed when you choose VPS Server as your provider. i need a new server on new york location.